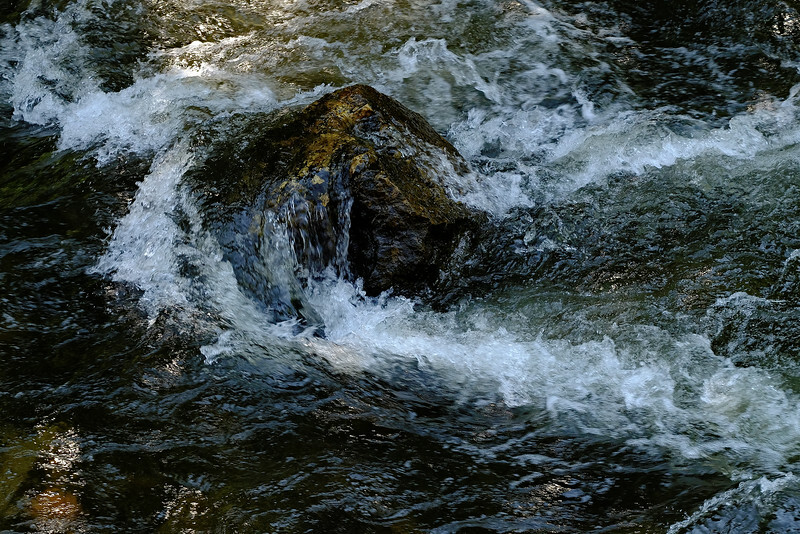 The Pecos River begins in the high country of the Pecos Wilderness. The canyon below the headwaters has rushing waters, tall trees, open meadows, deep pools, and incredible rock formations. There are dense forests and stands of Ponderosa and piñon pine, aspen, Douglas fir, and Colorado blue spruce, along with various shrubs such as mountain mahogany, willows, and Gambel's oak. Hikes in the wilderness area are plentiful, and many involve a goodly amount of elevation gain. But the scenery is superb, along with the sounds of the river and creeks, and connection with the elements. Elevation in the areas photographed range from 7000 to 10,000 feet.